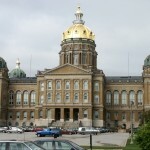 The following piece addresses specific thoughts about the direction of the Republican Party.Â While the writer is actively serving as Communications Director for the Polk County Republican Party of Iowa, the opinions expressed do not necessarily reflect those of Polk County Republicans, the Republican Party of Iowa, or the Republican National Committee. 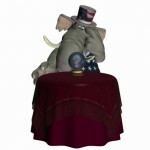 If you’ve followed The Conservative Reader earlier in 2009, you would note that we discussed a need to rethink the Conservative/Republican agenda. We have not yet dug into that process deeply, although many have been voicing their opinions about what needs doing. Retired editor of the Des Moines Register, Richard Doak, is concerned about the welfare of the GOP.Â He says to restore the GOPs greatness donâ€™t look to Reagan, instead look further in the past to Abraham Lincoln and Teddy Roosevelt. Thanks for the history lesson Mr. Doak, upon reading your column I began to wonder if you think that todayâ€™s GOP wouldnâ€™t care about slavery?Â While you donâ€™t come right out and say it, that does seem to be implied. I attended the event this evening and while George did not make any comments that sounded like â€œHey, I want to be your next Presidentâ€, this was definitely seemed like a pre-exploratory event. He had some great comments about the current state of affairs, and took questions which I also think he answered well.Â Some in New York (see comments on this post) have speculated about him running for other posts in that state, others have suggested he could be a possible contender for President in 2012. Even if he does not run for anything, he certainly provides a strong sense of some of the things the GOP needs to do to take back the Peopleâ€™s Government. The deductibility of Federal Income Tax on the Iowa Income Tax is in jeopardy.Â Iowa Democrats have officially brought the issue to the table in the Iowa House in HSB 284 (currently in the Ways and Means Committee).Â Iowans need to stand up against this bill, as it is a direct increase in the income tax obligation of Iowans.Â After rejecting sound recommendations from Iowans and elected Republicans, the Democrats are anxious to fix the mess they have created by raising our taxes. As we mentioned yesterday, tonight was the Polk County Republican Party election for Chair and Co-chair.Â John Bloom of West Des Moines was elected Chairman and Will Rogers of Des Moines was elected Co-chairman. There was a good-sized. group, including about 80 Central Committee members at Hillside Elementary School in West Des Moines.Â The meeting lasted about two and a half hours. The new leaders are both committed to working to build a stronger party, including improvements in the use and management of technology, and soliciting more active participation by committee and other party members in priortizing the party’s work, plugging people into areas where their talents can be used effectively, unifying the message of the party, and getting Republicans elected. 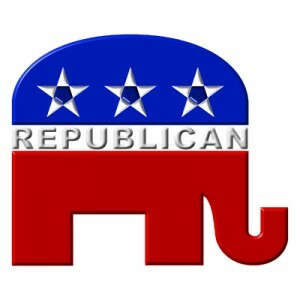 Tomorrow night at the monthly Polk County Republican Central Committee meeting, the committee will elect a new Chairman and Co-chairman.Â Ryan Anderson, John Bloom and John Gruber have all announced their intention to run for Chairman.Â Will Rogers and Art Smith (yes, one and the same) have announced their plans to run for Co-chairman.